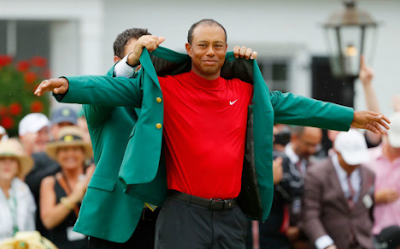 Tiger Woods has won the 83rd edition of The Masters Open at Augusta, scooping his first major title in eleven years. 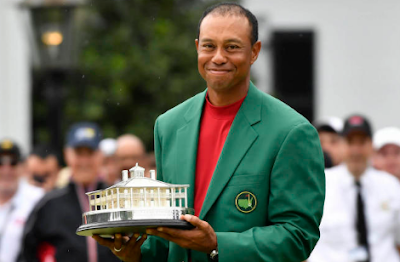 The American golfer sealed his first Major title since his 2008 US Open triumph, finishing on 13-under-par, one shot ahead of his compatriots, Dustin Johnson, Xander Schauffele and Brooks Koepka. 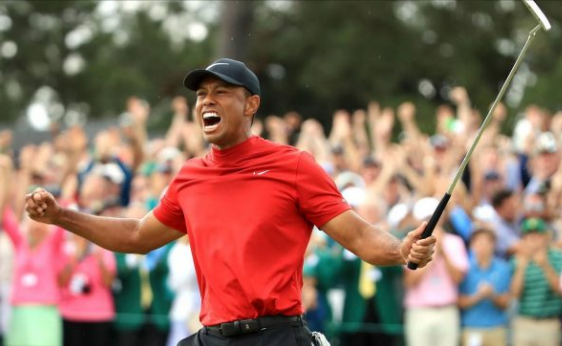 Wearing his trademark red shirt he reserves for the final day of events, and with the crowd cheering him all day, Woods, despite needing two attempts, putted the 18th hole to claim a hard-fought victory in which he took the outright lead only three holes to the end of the championship. Playing in his 22nd Masters on the golf course where he started his professional career in 1995, 48-year-old Woods needed all his years of experience to putt for par on the ninth hole where overnight leader Molinari, and fellow Challenger, Finau, both bogeyed to hand Woods the advantage from which he never looked back. The win is Tiger Woods’ fifth title at Augusta and remains second behind legendary Jack Nicklaus who won six titles at Augusta, while on 15 Majors, Woods also requires three titles to equal Nicklaus’ 18 career Major titles.